Double LP version, deluxe gatefold sleeve. Alog are duo Espen Sommer Eide and Dag-Are Haugan, and this is their fourth full-length release for the Rune Grammofon label. Since forming in 1997, Alog have been among Norway's leading performers of experimental electronic music. They are mainstays at Rune Grammofon and have been with the label since their debut album Red Shift Swing was released in 1999. They have increasingly worked with various acoustic instruments and in collaboration with other musicians for long recording sessions in special locations. Travelling around the west coast of Norway with Nicholas H. Møllerhaug and Nils Økland sidekick Sigbjørn Apeland, they recorded in music schools in an attempt to capture the unique sound of each selection of instruments found. Because of bad weather they could be stuck for days on islands off the wild northern coast recording themselves playing any instruments they could find and building more of their own. These sessions were subsequently worked on in the studio to bring out the unique spirit of this release, characterized by a curious and fresh approach to playing that is often lost in the process of becoming a virtuoso on a singular instrument. The word "amateur" originally denotes a person who is motivated by a passion or love for their activity. It has been the goal of Alog on this album to preserve and enhance this special energy in their songs, and to do this they use their "augmented acoustics" technology and bring out the hidden "amateur" energy of each song. Alog are duo Espen Sommer Eide and Dag-Are Haugan, and this is their fourth full-length release for the Rune Grammofon label. Since forming in 1997, Alog have been among Norway's leading performers of experimental electronic music. They are mainstays at Rune Grammofon and have been with the label since their debut album Red Shift Swing was released in 1999. Already a mature and original collection, their sound has since been developed through their second album, Duck-Rabbit (2001), and almost perfected with their previous album Miniatures, which also won them a Norwegian Grammy for best electronica release in 2005. Some of the techniques that Alog invented for their Miniatures album have now been refined and developed on their new album, Amateur. They have increasingly worked with various acoustic instruments and in collaboration with other musicians for long recording sessions in special locations. Travelling around the west coast of Norway with Nicholas H. Møllerhaug and Nils Økland sidekick Sigbjørn Apeland, they recorded in music schools in an attempt to capture the unique sound of each selection of instruments found. Because of bad weather they could be stuck for days on islands off the wild northern coast recording themselves playing any instruments they could find and building more of their own. These sessions were subsequently worked on in the studio to bring out the unique spirit of this release, characterized by a curious and fresh approach to playing that is often lost in the process of becoming a virtuoso on a singular instrument. The word "amateur" originally denotes a person who is motivated by a passion or love for their activity. It has been the goal of Alog on this album to preserve and enhance this special energy in their songs, and to do this they use their "augmented acoustics" technology and bring out the hidden "amateur" energy of each song. "Dear fellow listeners! We are very pleased to present to you the newest album from one of our definitive favorites from the Norwegian music scene: Alog! Ever since Alog's debut album Red Shift Swing on Rune Grammofon, we have been admiring this enigmatic act for their true artfulness, daring unpredictability and quirky sense of humour. Even though they have been labelled an electronica act, we have always felt that Alog has had just as much in common with adventurous bands like Can and This Heat. Includes several previously unreleased tracks, Alog's remixes of Kim Hiorthøy and Velma, in addition to tracks from limited edition and hard to find releases." Originally released in 2005. Alog are Norwegian duo Espen Sommer Eide and Dag-Are Haugan. 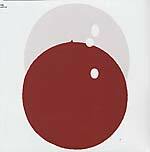 Alog have been with Rune Grammofon since their debut album Red Shift Swing was released in 1999. Already a mature and original collection, their sound has since been perfected through their second album, Duck-Rabbit, and concert activities before arriving with Miniatures, their third and in Rune Grammofon's view, best and most consistent album. The title is inspired by Turkish miniature paintings, where the rules are as follows: no shadows, no mixed colors, no perspective, no facial characteristics, no uniqueness of objects. Only pure radiant colored objects configured in mysterious patterns. Whether these rules are applied to the music of Alog is open to discussion, but there's no doubt that there are similarities of expression. Eide is involved in the city's experimental music scene and has released three solo albums as Phonophani. Haugan studied at the Malmö Academy of Fine Art in Sweden. Four years ago he released a solo vinyl album, 9 Solitaires, on the K-RAA-K label. The duo's name alludes to their preferred method of sound treatment, to show that both digitAL and anaLOG procedures are integral to their work, with Espen being "Digitalman" and Dag-Are being "Analogman." The actual playing of "real" instruments has always been a vital element in their music-making, and even more so this time. Some of the tracks are based on live recordings, the "Steve Reich-with-punk- guitar track" "St. Paul Sessions II" being a prime example. "Follow-up to Red Shift Swing, an album that received massive critical acclaim and showed a totally fresh approach to the art of sampling. Duck-Rabbit follows this course but is to a greater extent born from improvisations during and after concerts, something that has given the album a more extrovert and energetic feel." "Highly original and different music from a young Norwegian duo (Espen Sommer Eide & Dag-Are Haugan). Bits of classic minimalism (Reich), postrock, techno, jazz, this and that. Most tracks come from improvisations made with various reed, percussion and string instruments, as well as electronic keyboards and field recordings. The results are then manipulated in different digital and analog ways. Quite brilliant, we haven´t really heard anything like it."